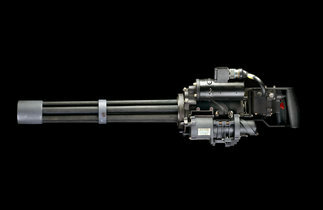 Dillon Aero, Inc. designs, develops, manufactures, and supports the Dillon Aero M134 Gatling Gun, as well as a wide range of supporting and related products. Since 2000, Dillon’s product line has grown to include high capacity feed systems for the M134 as well as the M240, a wide range of helicopter, naval, and vehicle weapon mounts, as well as a complete line of safety and support equipment for the Gatling Gun. Dillon Gatling Guns fires at a fixed rate of 3,000 shots per minute. Elibra Global proudly represents Dillon Aero in Azerbaijan and Georgia.